Without waking up every day to study or work, we all have the dreams that we always try our best to pursue, even we can take risks. Some love collecting stamps, shopping, but if you have something adventurous inside and love traveling as well, we have to say that you are so special. Sorry for this irrelevance but at this moment, if you are thinking of visiting Bhutan to experience a million new things, why are you so hesitant? 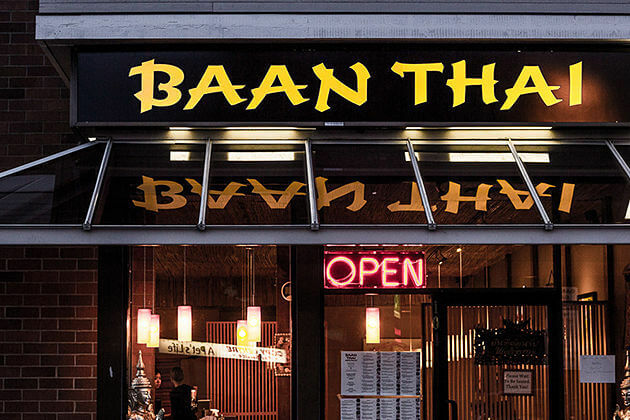 Go with us, we will be happy to share our experience of every single tangle of adventure, both our joy and sorrow with you. By enjoying one of our Bhutan Adventure Tours below, together with us, we can explore every corner in Bhutan, indulge our soul in its history, spectacular geography and cultural sightseeing to the untouched land of the kingdom. 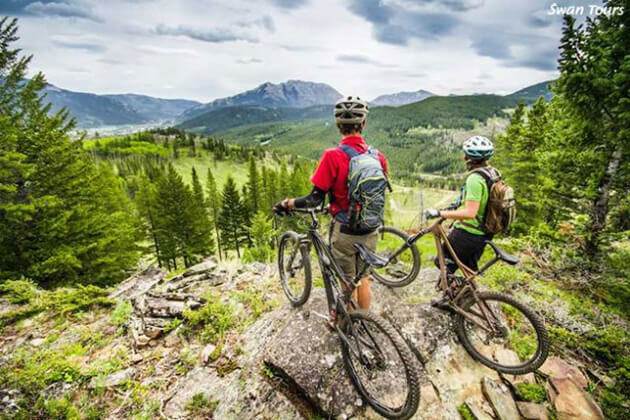 If you do not find any tour package that suits you most in the list below, feel free to contact us then we can give you a hand to customize a unique yet exciting adventurous itinerary for you to high on. 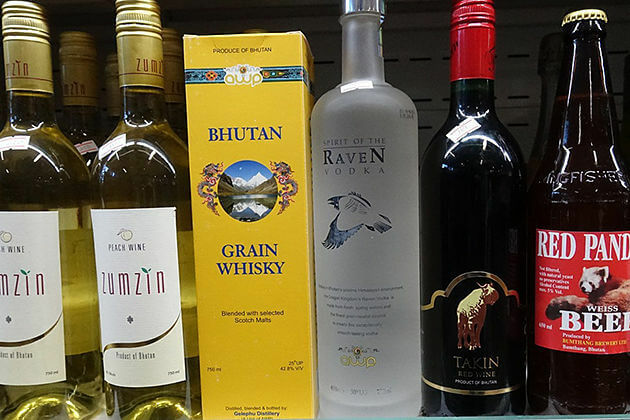 What do you expect in your Bhutan Adventure Tours? Hiking deep inside the lush forests, climbing up the mountains, tasting the clear fresh water, feeling so good when you let the wind gently flow into your sweaty body after a quite long hour of hiking, or whether rafting and fishing down crystal clear, glacier-fed rivers, all these things are the important parts in every Adventure Tour of us. Living a life without adventure is not completed, and whenever I think about my life, the song, The Night of a deceased artist – Avicii always comes to my mind, leaves something motivated in me, and let me feel eager to live a life that is full of the expedition. 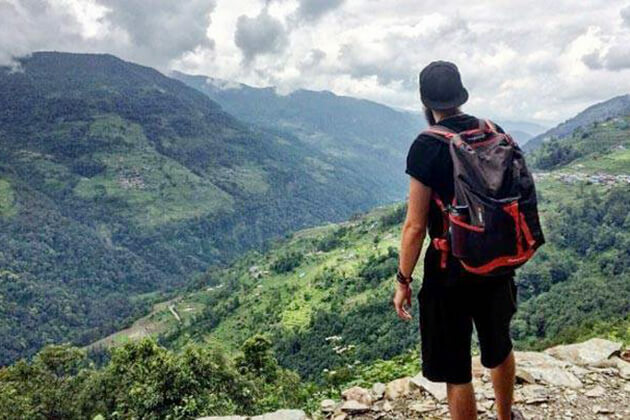 So if we share the same hobby and you want to totally high on life your way, keep scrolling and find out what should you do while getting into one of your Adventure Tours in Bhutan and make a vow to never give up the journey. I know you, my adorable readers | clients, will feel so confused and wonder that what makes this activity adventurous and exciting? Well, trust me and I promise that crossing this bridge will get your adrenaline pumping so hard. 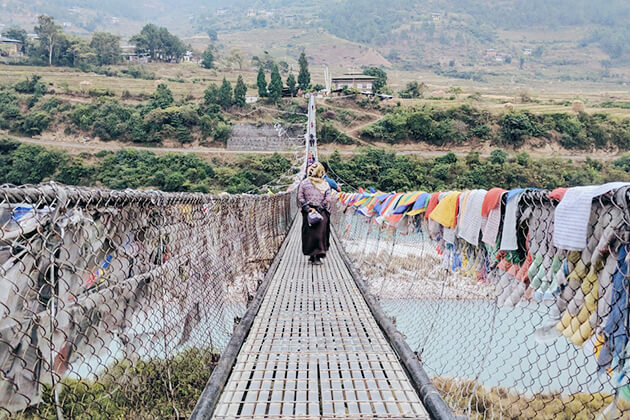 The suspension bridge that was made by hand a long time ago, is a connected way of the historic site – Punakha Dzong to the nearby villages. Crossing the bridge can be something challenging for the fear-of-height people but when you stand in the middle of the bridge, be ready to be totally overwhelmed by the stunning ambiance as you seem to be embraced by the lush pine forest, the magnificent vista of the mountains surrounding, and the clear-watering river gently flows below. Personally, rock climbing absolutely is the one above all, to me, whenever there is a discussion about adventure. Besides trekking, you should not miss any chance to join in a rock climbing trip and have interesting experiments in the activities. Once enjoying, there will be an opportunity to challenge yourself to see who you really are. Climbing up to the vertical rock, beating all the obstacle while climbing, and if you get a bit tired, just stop for a while and turn your head back, then admire a spectacular vista watching attentively behind you. 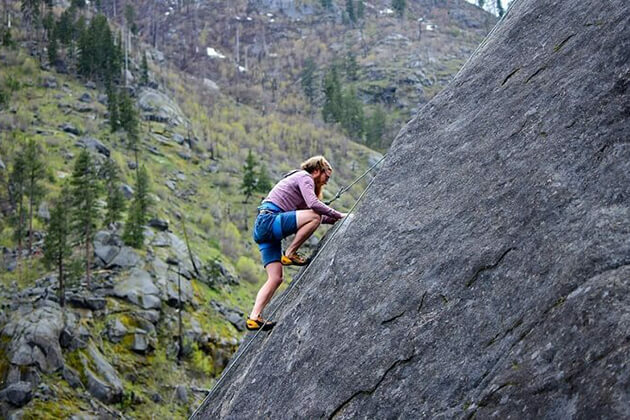 Also, if you want to get into a climbing trip, do not miss the Nose, a natural climbing rock located outside Thimphu where you can find 13 different routes in total which have been bolted and made safe. Here it is, my favorite activity during the time I enjoyed my memorable Bhutan Adventure Tours. 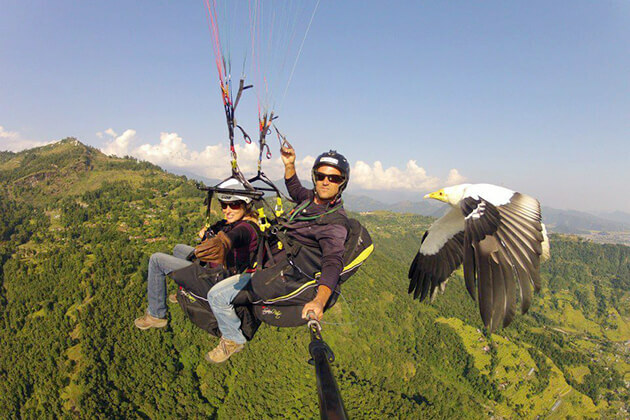 Due to the height of the plateau, especially in the scenic Ura Valley, paragliding becomes so much greater than ever before. Floating in the middle of the clear blue sky, admiring the breathtaking vista, and then you will know the feeling of a flapping bird. 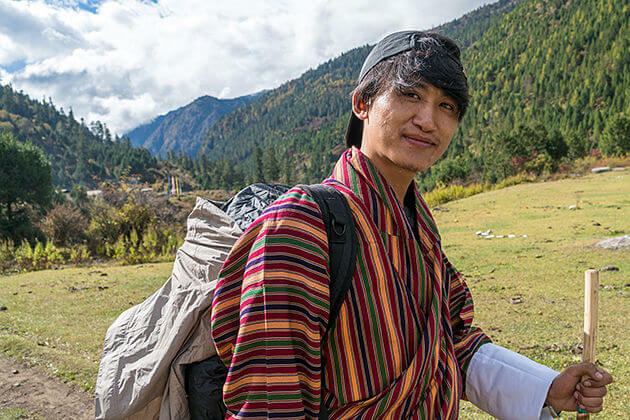 Once in Bhutan, a land-locked country, how can we miss an opportunity to enjoy a trekking trip, a very famous adventurous activity in Bhutan, through evergreen forests, trails offering stunning views of Bhutan’s beauty at the high altitude? Among many treks in Bhutan; however, the Jomolhari Trek and the Druk Path Trek are the two popular trekking trails in Bhutan that lead you to walk through every breathtaking view in the country. Are you looking for an elegant activity yet adventurous in some ways, then this sport will suit you better. 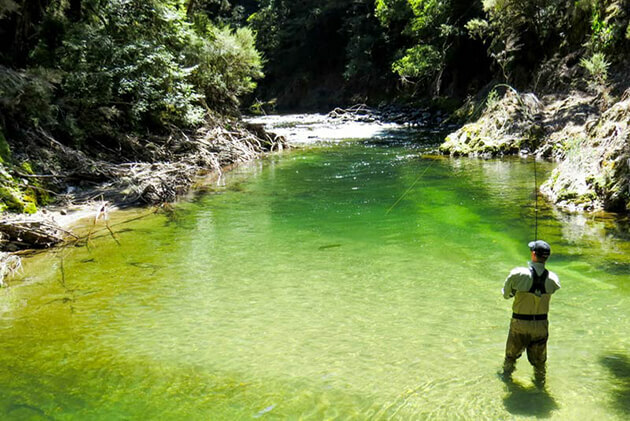 Enjoy fishing, you can both indulge yourself in the spectacular scenery of the river and things surrounding while floating in the middle of the river, elegantly throw the rod into the water and waiting for something happens. In short, this activity will change the definition of adventure sports in Bhutan. In fact, we have a specific Bhutan Adventure Tours about fishing above, so if you are interested in it, just click and see the full itinerary. This one is rather relaxing than adventurous but let me give you a reason. 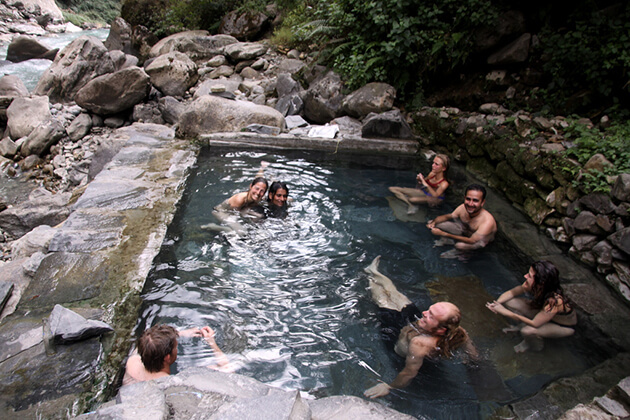 If you are going to a trek called The Duer Hot Springs Trek, lucky you that you will have an opportunity to both enjoy an exciting trekking route and take it easy with hot spring after a grueling four-day trek. Hot springs are the signature attractions of mountainous countries so that do not miss to have the best time with this elegant activity when visiting Bhutan. 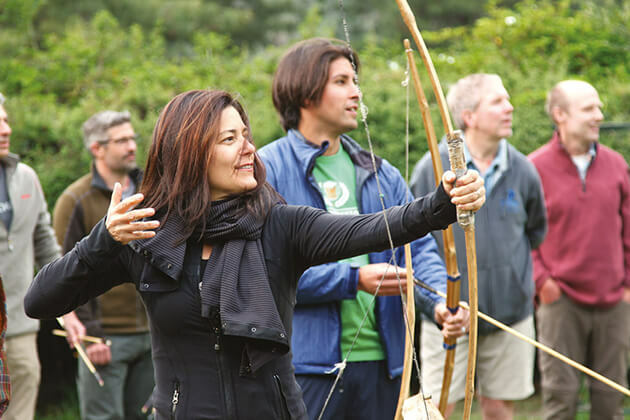 If you want to experience the feeling of being an archer, just simply enjoy this sport. 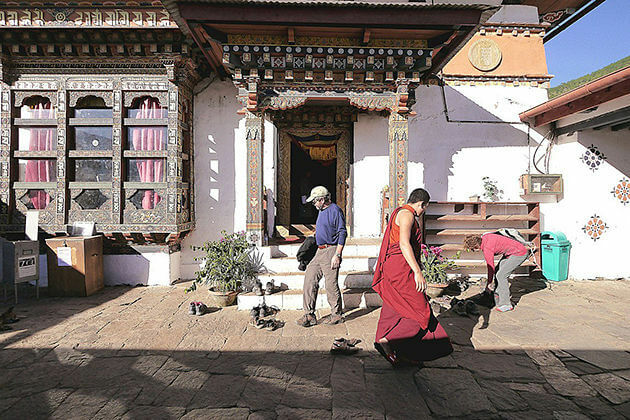 I know it, perhaps, is an unusual thing to do in Bhutan yet definitely worth your time spending on it. The archery, the national sport of Bhutan is not limited to athletes; hence, you can find locals getting into in all kinds of archery competitions during the local festivals and fairs. 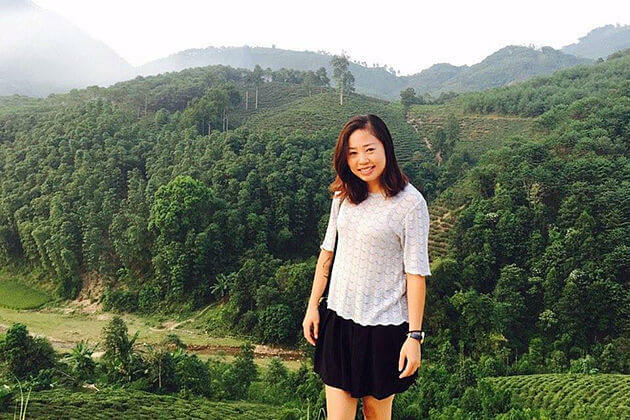 This one is also the reason that makes me eager to enjoy an adventure tour in Bhutan because it is the perfect way to explore the exotic beauty in such a beautiful country. 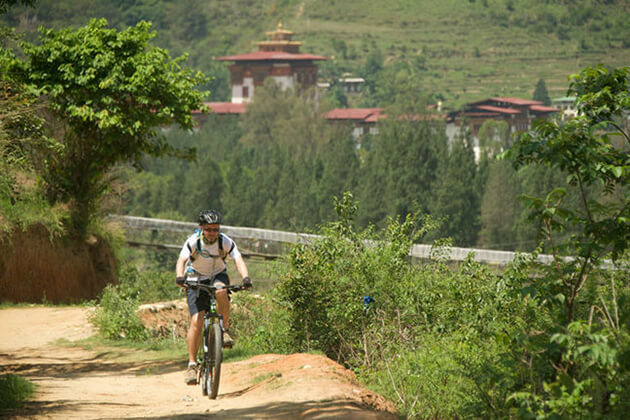 Setting against the stunning valleys and the mountains, the trails are best covered on bikes that you can find and hire from the towns or even villages in Bhutan. 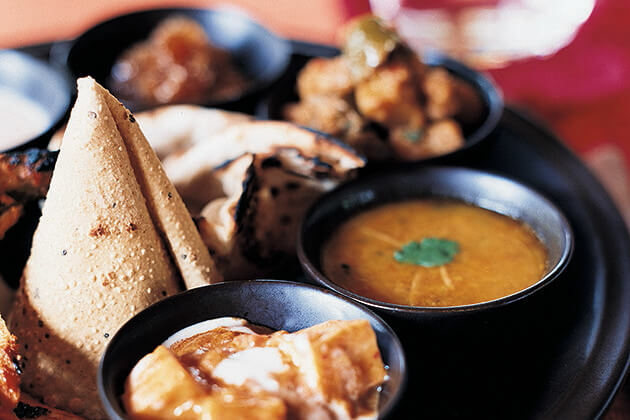 Although I consider it an adventurous activity, it suits for everyone from beginners to experts. 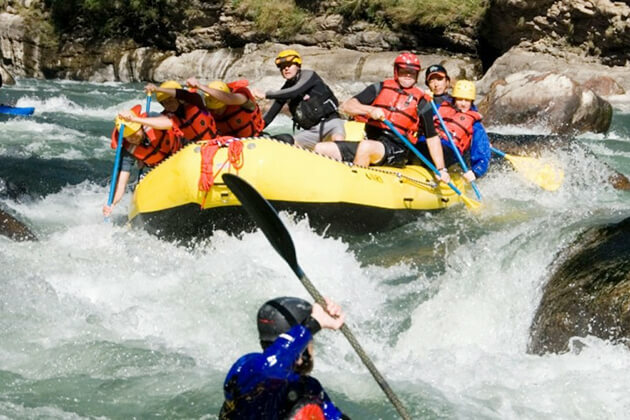 To me, rafting is one of the best activities that each traveler should spend time on it. 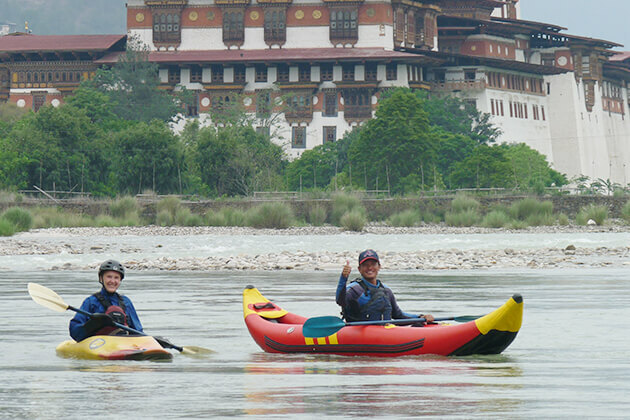 Can you imagine how exciting it will be when you flow the rafting trail, get a little bit wet and go through the rapids around the Punakha Dzong – the most beautiful Dzong in Bhutan. On the rafting trail, you can also catch a glimpse of the beautiful setting of the Bhutanese mountains. If you do solo travel and want to get wet, you will love kayaking. 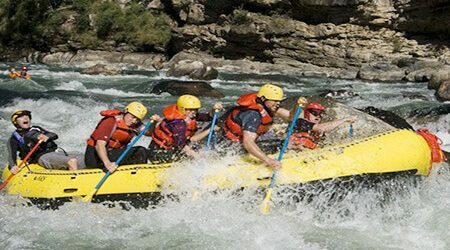 This very scenic adventure activity will lead you through various rivers, immerse yourself in the wilderness of Bhutan before you eventually become a part of the Brahmaputra in India. There are several rivers providing you various chances for kayaking like Dangme Chhu, Kuri Chuu, Wang Chuu, Mangde Chuu, Puna Tsang Chuu.